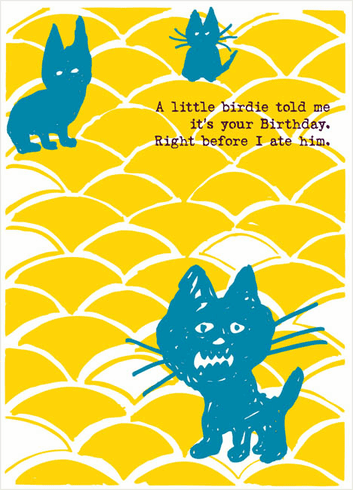 Blue cats "little birdie told"
Home > Blue cats "little birdie told"
Outside: A little birdie told me it's your Birthday. Right before I ate him. Inside: Have a killer day.